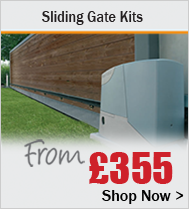 When it comes to gate automation GateMotors has an extensive range of products available from industry leading manufacturers covering electric gate openers for both swing and sliding gates. 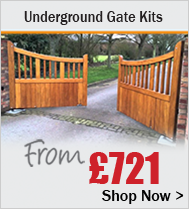 We also offer a wide range of accessories and additional safety devices to cover your gate kit needs. 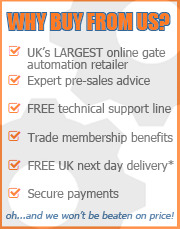 We work with our suppliers & manufacturers to provide the best solution for almost all gate automation requirements for the security of your home or business. 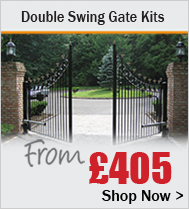 So ... if you're planning a new gate automation or require new or replacement parts we have you covered. 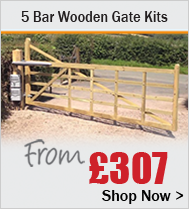 At GateMotors all products are covered by a limited warranty and we also offer our 'GateMotors Price Match Promise' on all gate kits. 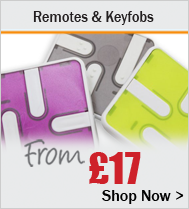 Browse our range and please take time to explore our comprehensive product information and Help & Support guide. 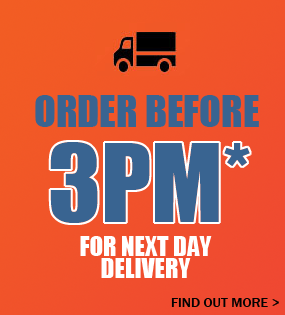 As well as the extra information provided we also offer free technical support, either drop us a message, email: sales@gatemotors.co.uk or give us a call 01202 717 191. 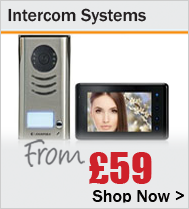 The sales lines are open Monday to Friday 8:30 - 17:30 (leave a voice message outside these times). Closed weekends & public holidays.